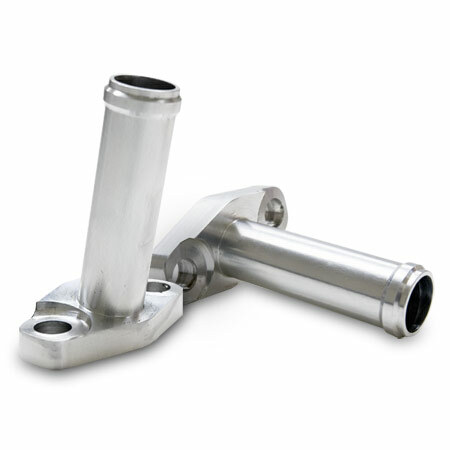 CNC Machined Billet Aluminum Oil drain tube with integrated GT BB drain flange. 5 degree tilt for GT25R/GT28R/GT28RS/GT30R/GT35R. Perfect for Subaru GT BB Drop-In stock location and other applications using slip-on 5/8" hose wanting easy 1 piece bolt-on drain tube.